Here it is at last – your convocation day. Few occasions hold as much pride and significance for you and for those who supported you along the way. Some of you already have an answer to that commonly asked question; a job on route to what you hope will be a fulfilling career in the private, public or non profit sectors, the first steps of a profession, an entrepreneurial pursuit, or perhaps graduate school. For others, the way forward is still to be determined. 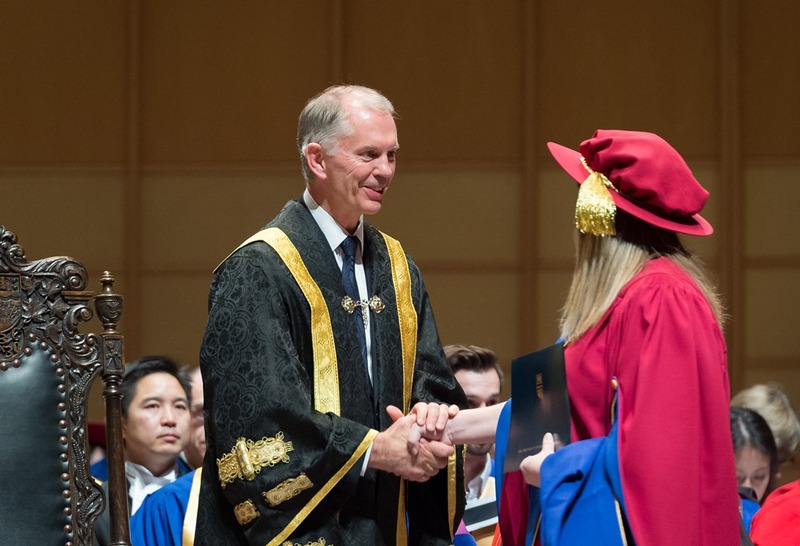 No matter your chosen path, I encourage all of you to recognize the tremendous significance of your achievements in making the transition from UBC student to UBC graduate, and to allow your success to be a source of pride in the present and confidence for the future. There is no question that in proving yourself equal to the task of fulfilling degree requirements at one of the world’s finest universities, you have made a lasting and powerful statement about your character. The differentiating hallmarks of UBC graduates are many, but most importantly, they include self-discipline, resourcefulness and the ability to finish what you started, in spite of any number of challenges you encountered along the way. My message to all of you is the same: Irrespective of what pursuits you undertake, pursue your passion even though the path may sometimes seem circuitous. Work hard, have fun, but remain sharply aware of the inevitable and perpetual changes in the world around you and the new opportunities they create. Always remain open to new possibilities. One final thought – graduation should never mean goodbye. As UBC alumni, I sincerely hope you will remain connected in some way to your university. UBC is and always will be a place of interaction among extraordinary and diverse people, so please take advantage of the many opportunities to be active and engaged members of our alumni community. On behalf of all 300,000 of your Alumni colleagues, I extend my very best wishes and warmest congratulations. The Chancellor is the ceremonial head of the university and chair of the convocation. He confers all degrees, and serves as a member of UBC’s Board of Governors, Senate and Council of Senates.